Origin® helps to preserve the integrity of the drawing process by maintaining the formality of a mechanical drawing. 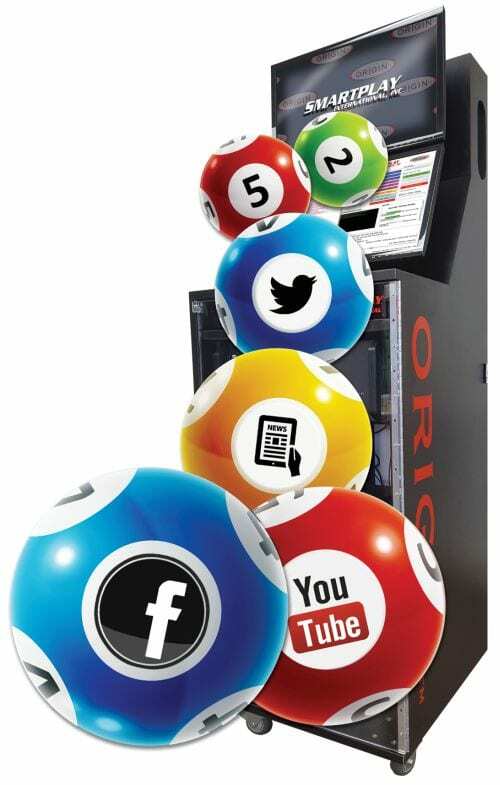 The Origin® Digital Lottery Draw System is an alternative to mechanical lottery ball systems. Many lotteries choose to run entirely with a digital system or compliment their traditional ball draw with a higher frequency game that’s run through the Origin RNG-based system. 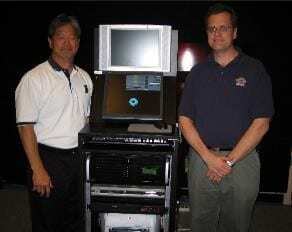 When our team set out to design a digital system 15 years ago, a key objective was to mimic the formality of the mechanical ball draw process. Creating a formal process around the digital drawing increases security and builds consumer trust. 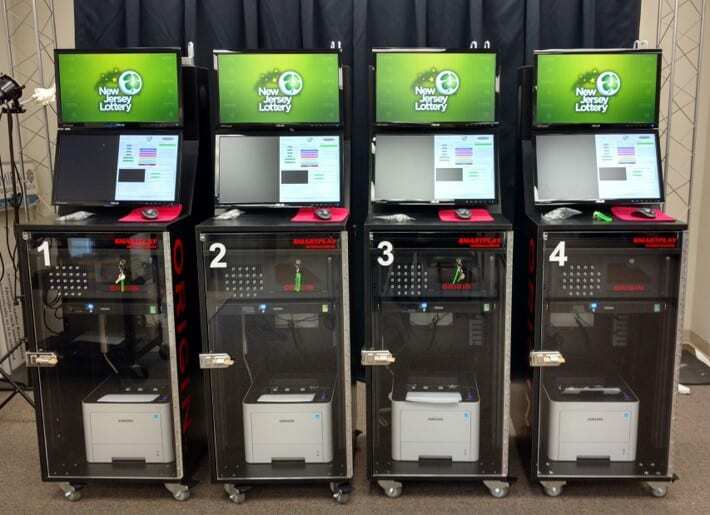 The Origin® System combines a hardware and software-based RNG to maximize security and integrity of the lottery drawing process. It is easy to operate and requires no I.T. assistance. The Origin Portal™ makes it easy to distribute static or animated draw results to all media channels within seconds of the official drawing. Once a drawing has been and the Draw Report has been printed, the drawing is exported on to a flash thumb drive by selecting the icon on the User control screen. This action will export all files associated with that draw session including the Media Portal™ file. The thumb drive is then inserted into the Media Portal™ appliance. The operator will be prompted to enter a four-digit “PIN”. This PIN, which is unique to every draw session, is found printed on the draw report. The system then loads the draw session video file. The monitor displays the video, title and file description, including the time and date string of creation. The Operator will be prompted to either “Confirm/Upload” or “Cancel”. A progress Screen will then appear showing the upload progress to the various sites. A final screen will appear with links to the various sites to positively confirm upload and content. 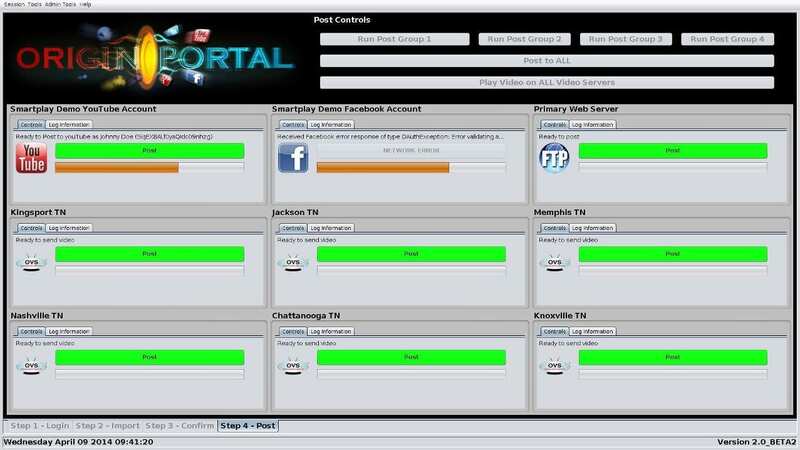 Exportable log files are generated on the Media Portal to verify activity. The Media Portal will require an internet connection for upload purposes. It will not be directly connected to the Origin System®. Accordingly, the number selection process will remain secure from outside attack, manipulation or corruption. Drawing files are encrypted and can only be uploaded by entering the drawing specific “PIN” found on draw reports. Files are verified prior to upload. 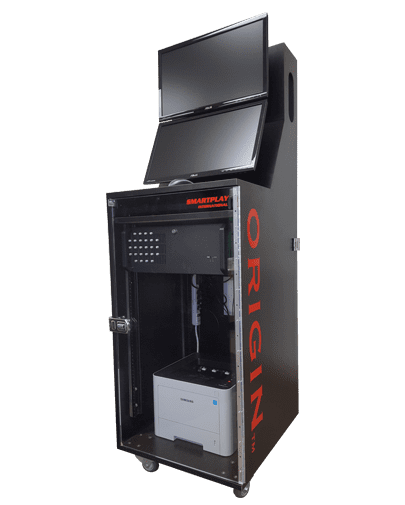 The Origin’s Digital Mixing Drum (DMD), one of the newest features to be added to Smartplay’s Origin®, is a highly flexible tool for conducting a wide variety of “Raffle” drawings. No longer are digital raffles or second chance drawings limited to sequential numbers. Phone numbers, .csv data files, data from websites such as SurveyMonkey.com, or any text file can be used to select winning entries. It truly is the digital equivalent of a traditional mixing drum. Smartplay’s DMD will select up to ten thousand (9,999) winning entries from populations as large as ten billion (10,000,000,000), and even larger! Winning selections can be segregated in up to twenty-five prize tiers. Using a proprietary algorithm, SmartAudit calculates a validation key derived from the scanned information. If that key matches the validation key — also embedded in the QR code — it proves that the preceding information was generated from the Origin and that the drawing is valid. 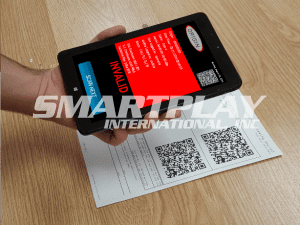 In the event the keys do NOT match, the application immediately warns the auditor but still displays the information decoded from the QR image. Auditors can use the application on a tablet to scan the QR code. The application interprets the data to verify and validate the results of each game. This validation can occur immediately after a drawing or twenty years from now! The latest Origin System allows for video segments to added dynamically behind the draw animation. Additionally, pre and post roll segments can be added to the draw animation and changed regularly to feature promotions or advertisements. These are actual draw examples generated from the Origin System. A library of standard graphics comes with the system, or we can custom animate the introduction and draw sequences. 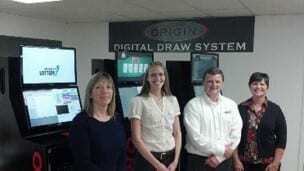 The Origin® Digital Lottery Draw System has been GLI Certified. Click the logo to view certification. Utilizes multiple hardware random number generators along with advanced cryptographic algorithms to generate certifiably non-deterministic results. A self-contained, stand-alone system with no outside inputs. Physical security is safeguarded by the SmartIntrusion system and tamper-evident via a US Department of Homeland Security-TPAT high-security seal. The Origin’s unique Dual Server design isolates the RNG server from outside inputs, for an added level of protection. The user interface and animation processing take place on the workstation server only. First, the number draw process is visible through the workstation monitor. 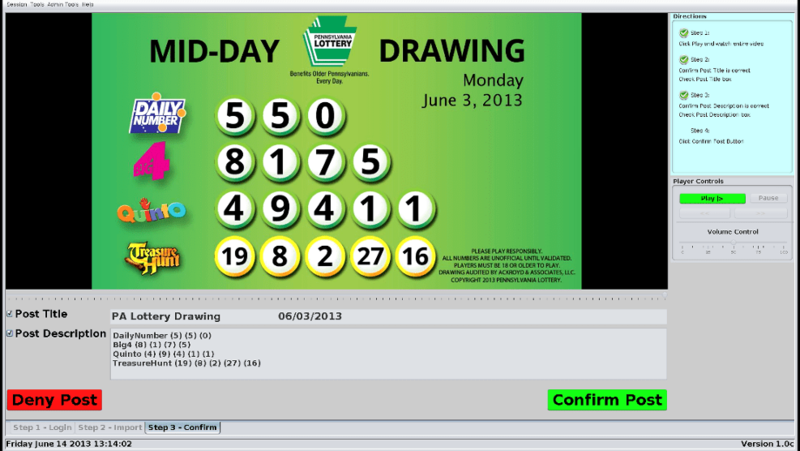 The user can then verify the draw numbers on the RNS screen. A third check is by printing the draw report, and the fourth check with SmartAudit. 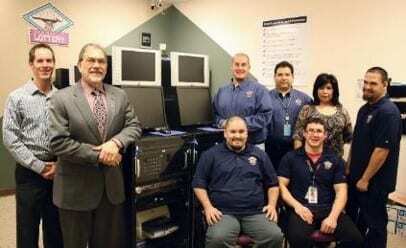 Trained Origin technicians available via our 24/7 support line. Behind The Scenes with The RNG! Here’s an informative video created by The Illinois Lottery on how an RNG-Based lottery drawing is conducted. 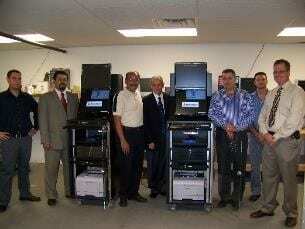 Contact us for complete specifications, recent installations and to set up a demo. Smartplay designs and manufactures traditional lottery drawing equipment, digital random number generator systems, bingo blowers, lottery balls and gaming-related services. The company services 400 customers in 85 countries. What is ISO Certification and Why is it Important? Ⓒ 2019 Smartplay International Inc. All rights reserved.